Sometimes the fun should never stop, and this should definitely be the case on your ski holiday with kids in tow. Often though, not the whole family sees eye to eye on their ideas of fun but we’re here with a remedy and it will go down sweeter than a spoonful of sugar. 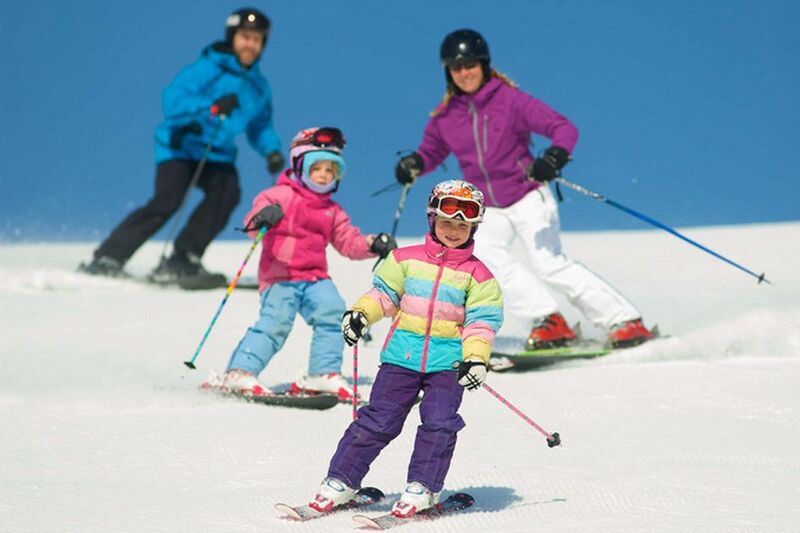 From big kids to little ones, or just the young at heart, your ski holiday with kids needs to cater for many things. Parents want to enjoy days exploring the pistes or gourmet meals with a tipple or two. The kids, however, can’t wait to get back to the top of the toboggan run, and the ones too little for the piste often need childcare to ensure they are adequately entertained! 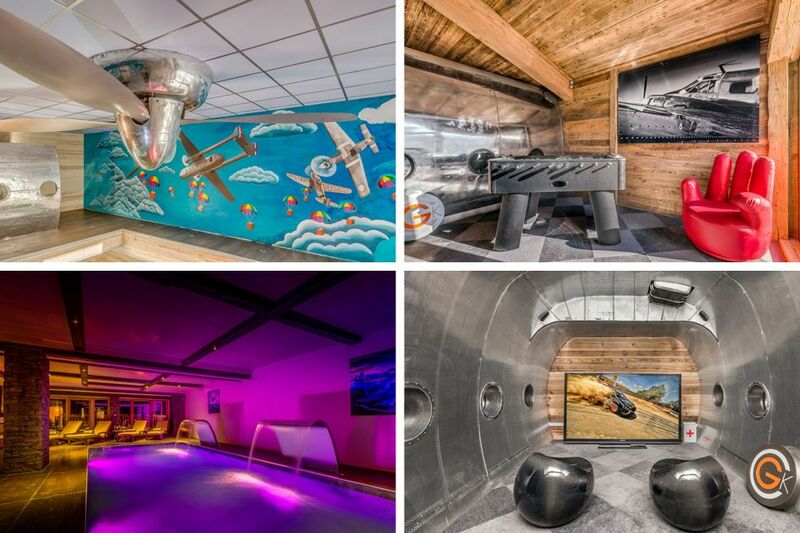 We’ve handpicked a selection of chalets with non-stop entertainment and top nanny services for non-stop kids to make sure that everyone, from 9 weeks to 90 years old, has fun in a family ski chalet. 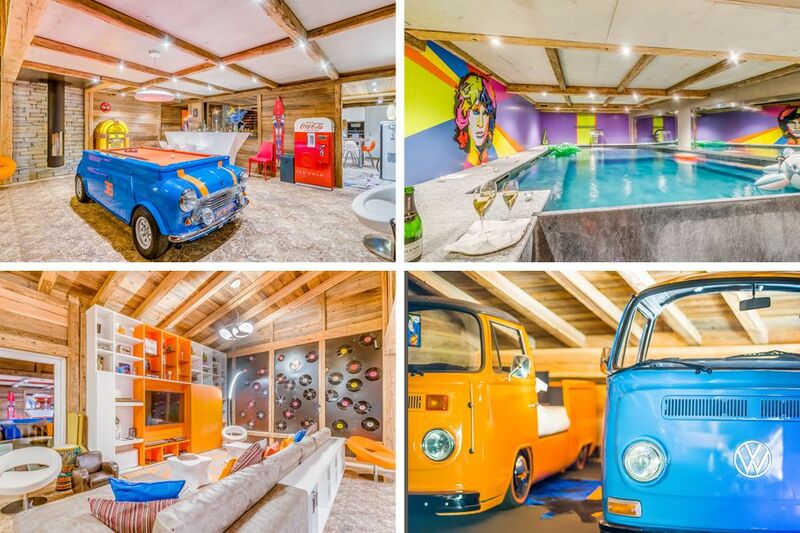 With VW Camper Van style children’s beds, a jukebox, an electric guitar and drum kit, games area with PS4, and an indoor pool, this chalet doubles up as a live-in toy box no matter what your age. Sleeping up to 11 people, you’ll all be transported into the 70’s with bright colours, iconic designs and retro fun. 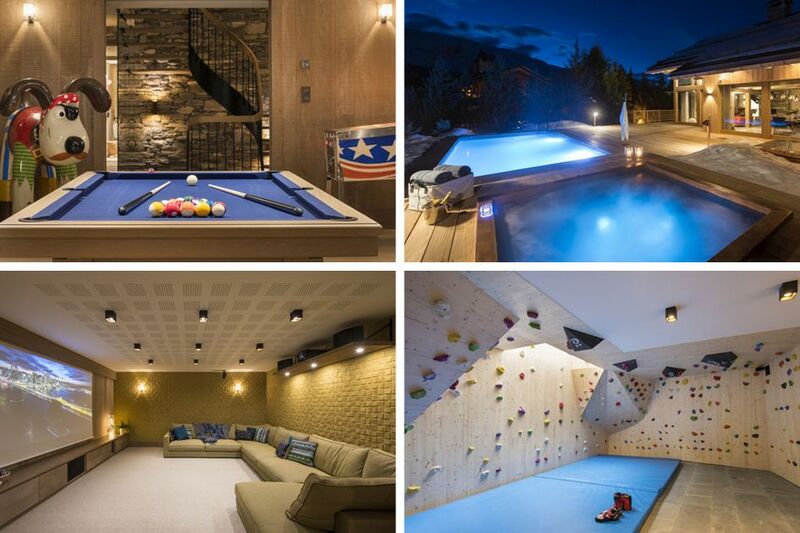 This chalet boasts a one-of-a-kind feature – a two-storey soft play gym! While you sit back and relax in the deluxe spa complex housing the stone indoor pool, massage waterfall and hot tub, imagine the peace and quiet you can enjoy knowing that the kids have a ball pit, slides, and play frame all of their own to enjoy. Chalet Alpaca has found the perfect balance between luxury and entertainment, going above and beyond what you would normally expect. So enjoy not only the outdoor hot tub and swimming pool, but you also will have to hope the kids let you have a turn on the indoor climbing room equipped with three bouldering walls. 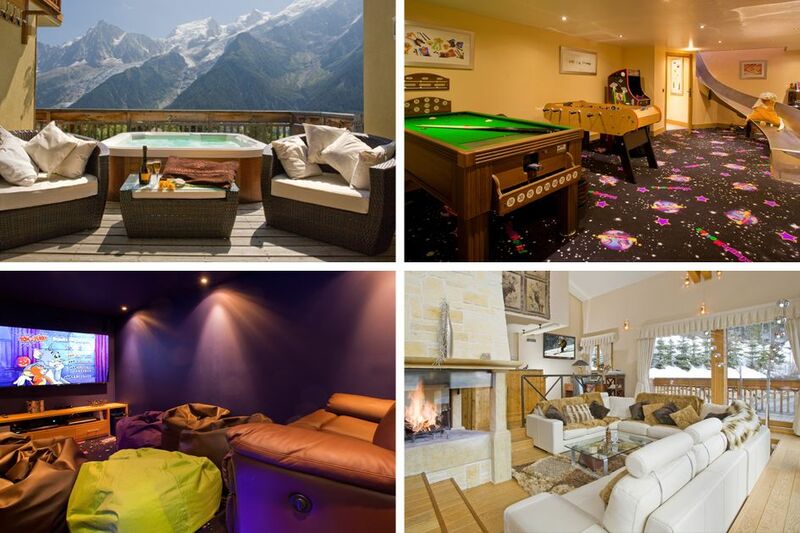 If you’d prefer a stay in a luxury hotel on your ski holiday with kids, then don’t fear because Le K2 Palace has a whole arcade of entertainment, from air hockey and driving games, to a room full of cuddly toys, dolls houses, and everything in between. 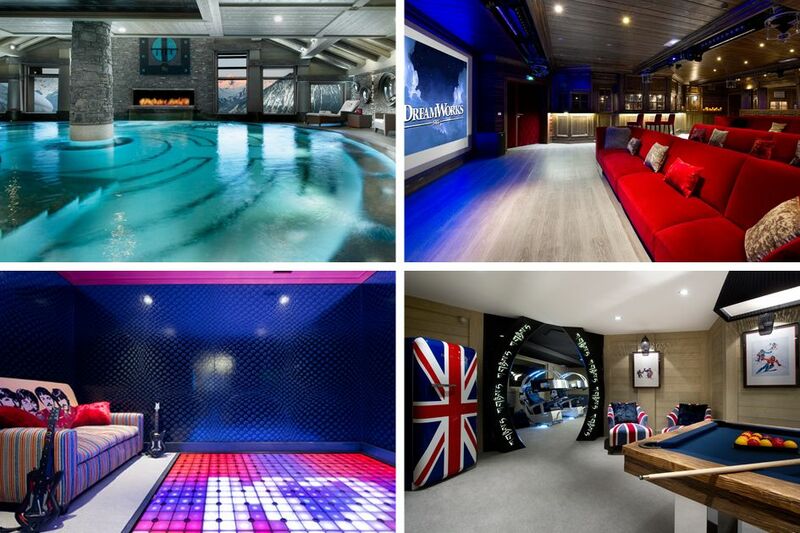 There’s also the cinema room and indoor pool. Best Suited: Kids Who Can’t Decide What To Do! Found opposite the majestic Mont Blanc, this 5-star chalet feels like a home from home. With plenty to indulge the parents, the kids will be kept busy in the cinema room with a Nintendo Wii and PlayStation, games room with pool table… and there’s even a slide down from the first floor! Welcome to a luxury playground, where the toys aren’t necessarily only for kids. 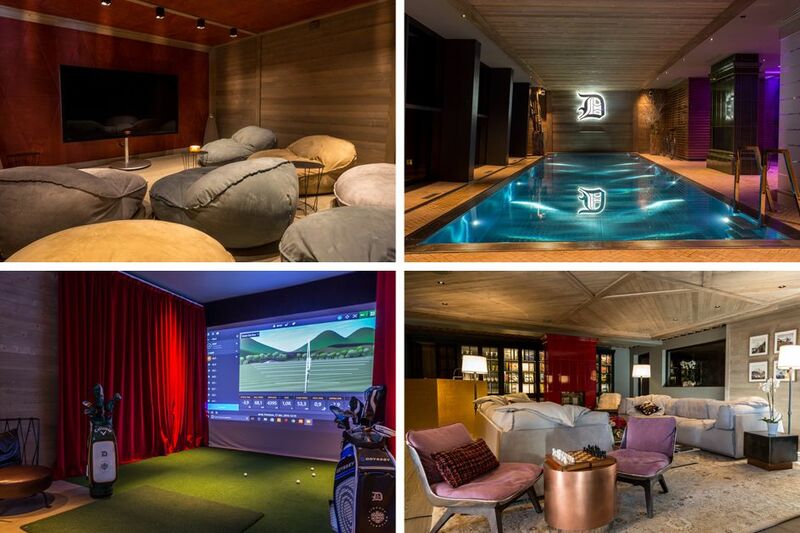 Boasting not only a deluxe indoor pool and a cinema room with beanbags, you can take it in turns on the Formula 1 simulator, where you can pit yourself against some of the world’s best drivers, and the chalet’s golf simulator. You’ll be welcomed into the warm and cosy embrace of this chalet, making it a perfect choice for a ski holiday with kids. The hot tub overlooks the pool so you can keep an eye on the little ones swimming, and after dinner there’s a chance to top the family leader board in a round or two of table tennis. Then, of course, curl up in the TV room with your choice of Netflix movies. 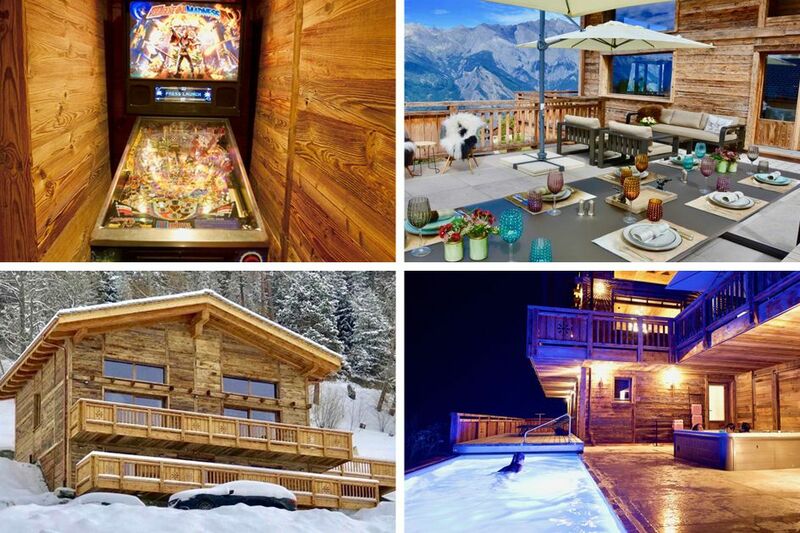 This quirky and bright chalet has been designed around fun! 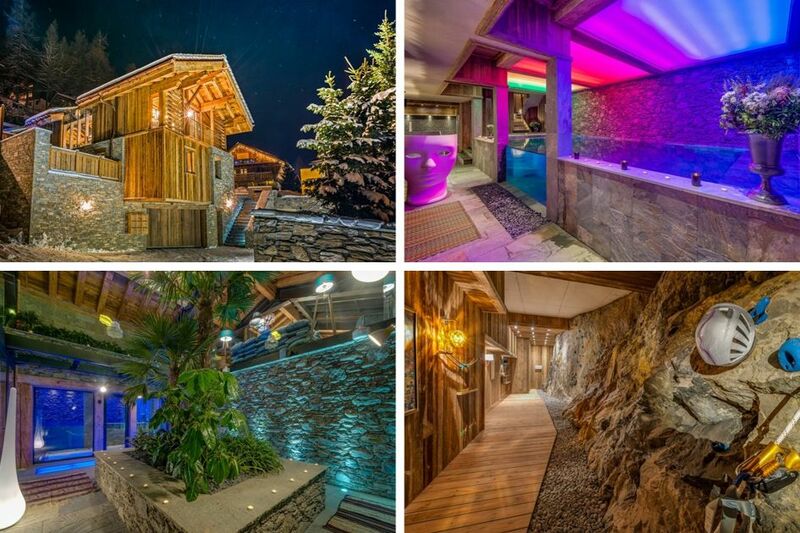 Expect the full spectrum of rainbow lighting throughout the chalet, a 32m2 indoor pool with infinity waterfall, but what makes this chalet special is the indoor climbing wall and archery and rifle shooting range. Chalet Charlie is an impressive chalet with some very unique features, including a snug and games room, all built with parts of a Nord Noratlas 1950s military aircraft. Get competitive with the games console inside the aircraft’s nose or chill in the snug surrounded by aeroplane parts that have actually been in-flight. Now we’ve got your evening entertainment sorted, here are some of the best nannies we work with to give you the freedom to explore the pistes knowing your little ones are being safely looked after. Operate across Austria, including St. Anton and Lech. The nannies pride themselves on a unique and flexible service, with private childcare provided in and around your own chalet which can be tailored to your children’s usual routine. A general day will usually include both indoor and outdoor play and activities such as arts and crafts, storybooks, drawing, playing in the snow and sledging. Can be found in the resorts of Courchevel, Méribel, Tignes and Val d’Isere and look after babies from 4 months to children up to 12 years old. Your chosen T4 Nanny is exclusive for you and your family so hours can be flexible, they can prepare lunch in your chalet for the little ones while you are skiing and provide babysitting for the family if the adults would like to venture out in the evening. 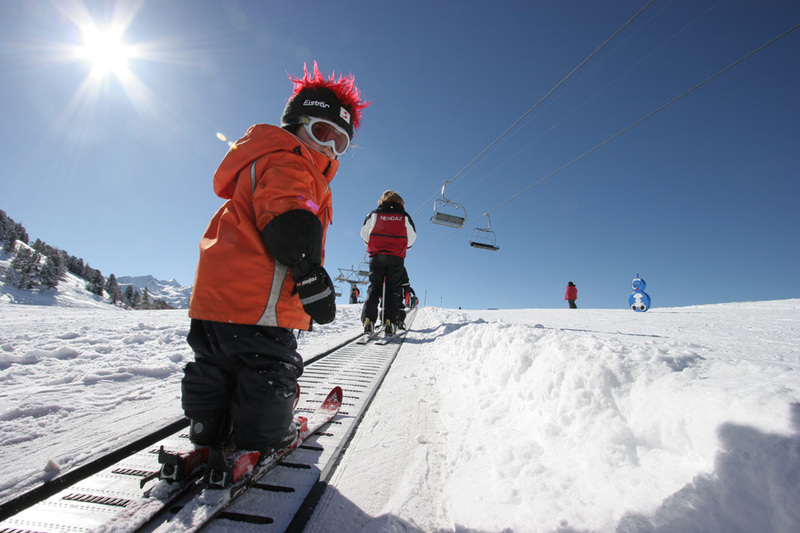 Operate in Val d’Isere and Tignes, and offer a flexible service with excellent resort knowledge and promise to keep your child engaged all week. There will be a variety of activities on offer including themed weeks and snow activities, and they can even bring your children up the mountain to meet you for lunch. Now, all there is left to do on your next ski holiday with kids is sit back, enjoy and make memories to last a lifetime, as we’re on hand to take all the hassle out of your holiday. For more suggestions of family-friendly chalets or what these nanny services can offer, call us now on +44 (0) 1202 203650 or enquire today.